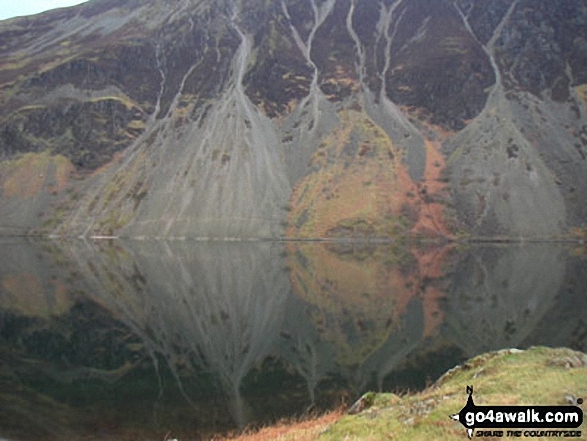 - Wasdale Head - (National Trust Campsite) - Wast Water - Lingmell - Middleboot Knotts - Round How (Scafell) - Great End - Ill Crag - Broad Crag - Scafell Pike - Mickledore - Foxes Tarn - Symonds Knott - Sca Fell - Wast Water. In good weather you can see mountains in Wales, Ireland, Scotland and the Isle of Man from the summit of Scafell Pike so try and go in on a clear day. At an elevation of 832m (2,731ft), Broad Crag Tarn is the highest body of standing water in England. 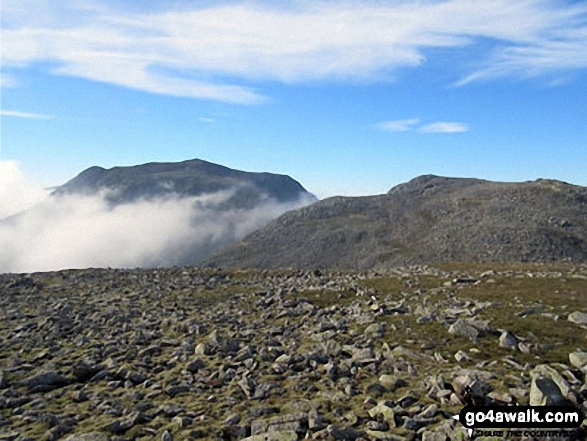 It can be found approximately 420 m south west of the summit of Scafell Pike. 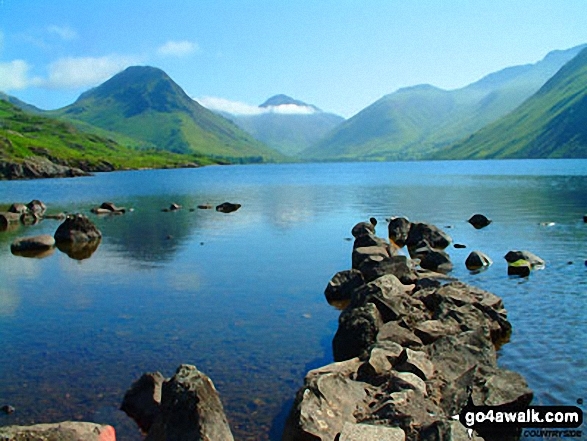 Wasdale Head is a tiny hamlet of agricultural fields and dwellings that claims to be home of the highest mountain in England (Scafell Pike), the deepest lake (Wast Water), the smallest church (Church of St Olaf) and the biggest liar (Will Ritson). There is an excellent National Trust Campsite and a fine pub - the Wasdale Inn - which claims to be the birthplace of British rock climbing. There is also a large free parking area for visitors. Though Scafell Pike is usually pronounced 'Skar Fell Pyke', the Lake District locals pronounce it 'SKOR-fall Pyke' with the emphasis on the first syllable. 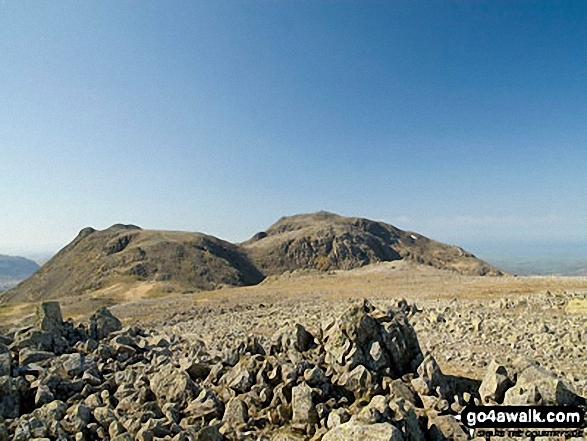 Scafell Pike means the highest point of 'The Pikes of Sca Fell'. This was the collective term for all the lumps and bumps on the top of the Sca Fell Massif (namely Sca Fell Pike, Sca Fell, Symonds Knott, Broad Crag, Ill Crag and Great End) when it was donated to The National Trust by Lord Leconfield in 1919. Sca Fell Pike became Scafell Pike (without the space) due to an error by the Ordnance Survey and the name stuck. 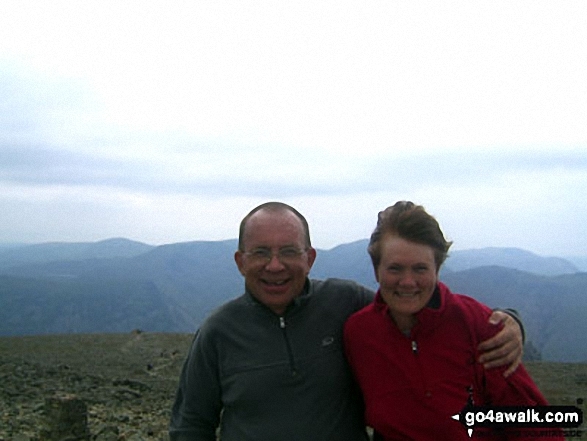 The highest point of this walk is Scafell Pike at 978m (3210ft). Scafell Pike is the highest point in the county of Cumbria, the highest point in The Lake District National Park and the highest point in England. It was also the highest point in the old county of Cumberland. Scafell Pike is classified as an English Mountain (Hewitt) (1st highest in England, 7th highest in England & Wales) and a Wainwright (No. 1). 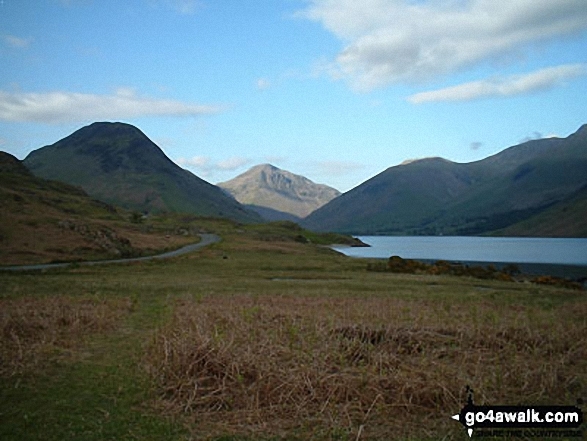 Scafell Pike is also known as an English Nuttall (1st in England, 7th in England & Wales). 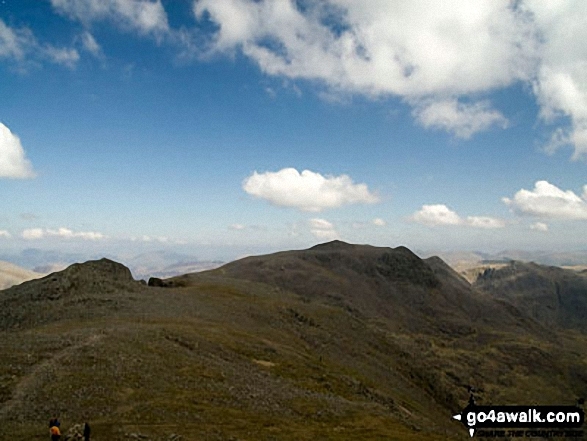 Scafell Pike is classified as a Marilyn (1st highest in England, 136th highest in the UK). 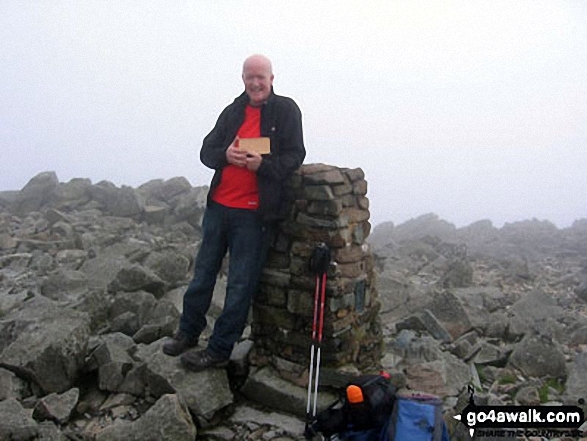 Completing this walk also take you to the top of Sca Fell, 964m (3163ft). Sca Fell is classified as an English Mountain (Hewitt) (2nd highest in England, 10th highest in England & Wales) and a Wainwright (No. 2). Sca Fell is also known as an English Nuttall (2nd in England, 11th in England & Wales). 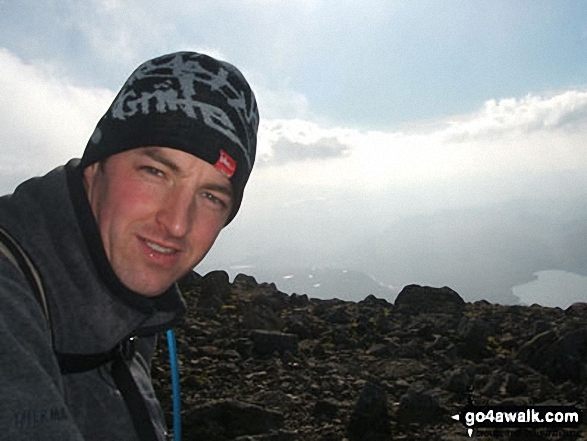 You will also reach the summit of Symonds Knott, 959m (3147ft). Symonds Knott is also known as an English Nuttall (3rd in England, 13th in England & Wales). 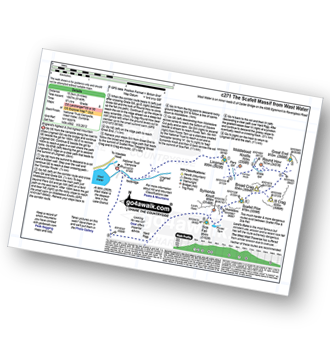 Along the way you will also bag Ill Crag, 935m (3069ft) - an English Mountain (Hewitt) (4th Eng, 15th Eng & Wal) and an English Nuttall (5th Eng, 17th Eng & Wal); Broad Crag 934m (3065ft) - an English Mountain (Hewitt) (5th Eng, 16th Eng & Wal) and an English Nuttall (6th Eng, 18th Eng & Wal); Great End 910m (2987ft) - an English Mountain (Hewitt) (7th Eng, 22nd in England & Wales), a Wainwright (No. 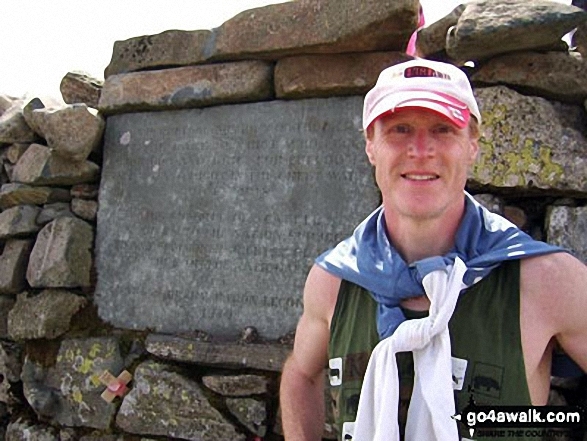 5) and an English Nuttall (9th Eng, 25th Eng & Wal); Lingmell 800m (2626ft) - an English Mountain (Hewitt) (42nd Eng, 77th in England & Wales), a Wainwright (No. 35) and an English Nuttall (50th Eng, 93rd Eng & Wal); Round How (Scafell) 741m (2432ft) - an English Nuttall (90th Eng, 156th Eng & Wal) and Middleboot Knotts 703m (2307ft) - an English Nuttall (130th Eng, 215th Eng & Wal).